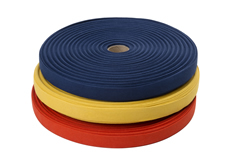 The inventory of elastic material carried by Elastic Cord and Webbing includes both flat elastic material and round elastic cord. 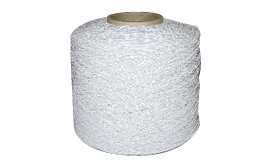 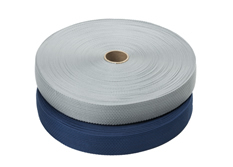 As an elastic supplier, our range of cotton elastic, polyester elastic and nylon elastic comes in the form of braided elastic, knitted elastic and woven elastic. 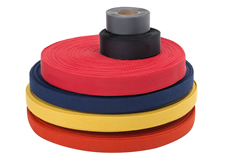 Sizes of our elastic material are as varied as our color selection and many come with the option of being “latex free” elastic. 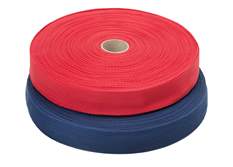 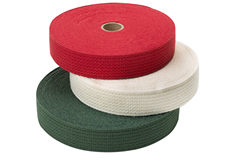 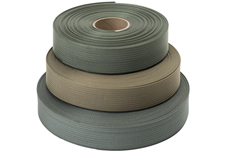 Braided Cord has been a staple product line of Elastic Cord and Webbing since the beginning. 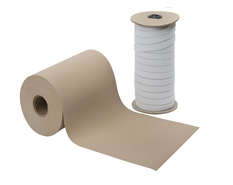 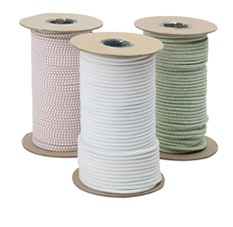 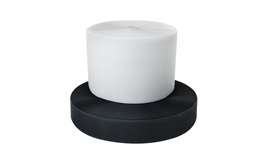 We carry both elastic cord and non elastic cord in a variety of materials including: cotton cord, nylon cord and polypropylene cord. 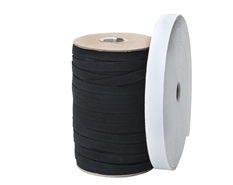 The weaves of stocked non elastic cord include braided cords, basket weave cords and plain weave cords. 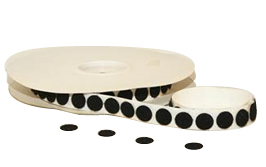 Our inventory is deep and varied allowing for rapid response to your inquiry. 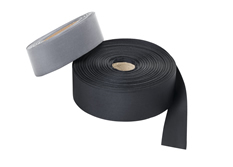 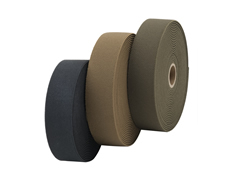 We produce both industrial and apparel tapes for heavy duty use in the military to herringbone tapes for a nice finished edge on clothing. 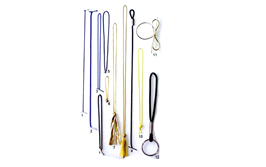 Our inventory goes beyond elastic, cord and webbing to include hook & loop fasteners, elastic loop used for menus as well as elastic string used for hang tags-- All inventoried under one roof. 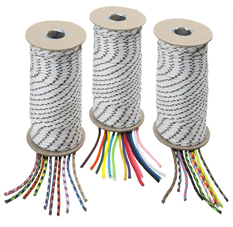 Please contact us or request a quote today! 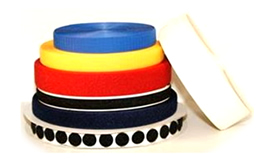 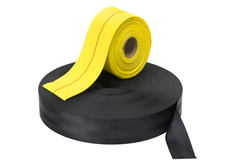 Elastic string or covered rubber string, finds the largest use in merchandising as tag string for price hang tags and labeling.